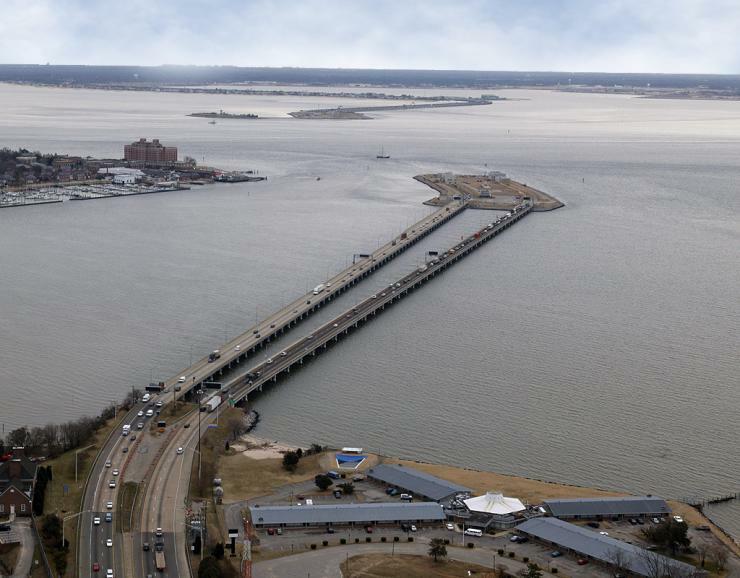 Three teams have been shortlisted to design and construct the US$3.3 billion expansion of the Interstate 64 Hampton Roads Bridge-Tunnel (HRBT) in the US state of Virginia. The HRBT expansion involves construction of a new four-lane bridge and tunnel crossing as well as widening of the existing four-lane segments of I-64, to ease congestion between Hampton and Norfolk. Virginia Department of Transportation (VDOT) has concluded its evaluation of statements of qualifications (SOQ) that were submitted in early March, in response to a request for qualifications (RFQ) published in December. For the tunnelled section of the project, the RFQ gave the teams the option of submitting an SOQ under both or either a bored or an immersed tube method. All three teams will be invited to submit detailed technical proposals and binding prices in autumn 2018 for a scheme involving just one of the tunnel construction methods. The contract award is anticipated in early 2019 with a project completion target of 2024.